What is there to say about this mystical distillery... Its stills first started running back in 1955 and the distillery was located under a real life vulcano, Mount Asama. They only used imported barley from Scotland that goes by the name Golden Promise that was praised for its great characteristics when matured for longer period. The distillery closed its door in 2000 and its old stocks are coming out in special releases that are grabbed instantly. This heavilly sherried bomb is aged for 12 years and is a great showcase of this rare Japanese single malt. **Individual orders limited to one item per person, as we wish to give everyone the opportunity to participate." 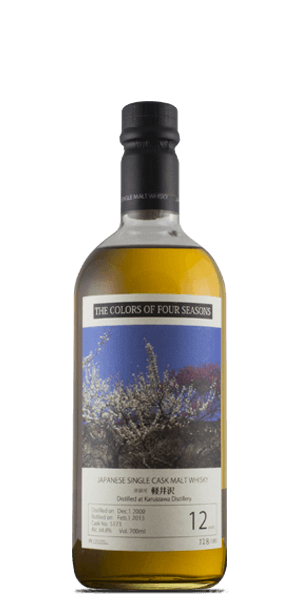 What does Karuizawa 12 Year Old The Colors of Four Seasons (Tasting sample) taste like? The Flavor Spiral™ shows the most common flavors that you'll taste in Karuizawa 12 Year Old The Colors of Four Seasons (Tasting sample) and gives you a chance to have a taste of it before actually tasting it.